Blogs generally represent the personality of the author or reflect the purpose of the Web site that hosts the blog. Most popular websites or blog normally pay some specific amount of money to their authors for quality article and most time it might be guest post. WordPress has being one the best platform for every young mind with different ideas to bring their skill live online for others to learn. 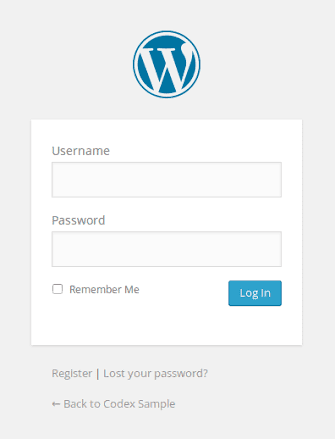 First you need to log into your WordPress blog. Now Click on "My Account" on the left side of the tool bar at the top of the page. Then Scroll down your dashboard. Your dashboard is the list on the left side of the page. Click on the word "Users." First, you should add any people from the WordPress community who you would like to be authors on your blog. Find the words "Add User from Community" at the bottom of the page. Enter the email address of your author in the text box. Select "Author" in the "Role" drop down menu. You can also add administrators, contributors and editors by selecting them in this box. Click on "Add User." The person will be sent an invitation to be an author on your blog. They will be able to access your blog through the "My Blogs" section of their account. Find the "Users" section of your dashboard again in order to add authors who are not already part of the WordPress community. Locate a small arrow on the User's Tab. Press on the arrow to see options under the "Users" section. Insert your first name, last name, email address and a personal message in the form that pops up. Click the box that says "Add User as a Contributor." Send your invite. When they sign up for an account, your blog will appear under "My Blogs". Go to the "Users" section again to change the person's role from "Contributor" to "Author." 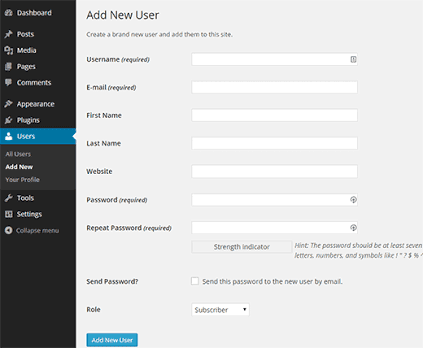 Now you will be given a list of all your WordPress blog users should appear. Click on the check box at the left of the user. Then click on the drop down box that says "Change Role to" Click "Author." Finally Click the "Change" button to the right of the drop down menu and that's all. I look forward to hearing from you! Wonderful bog by the way! A perseon necessarily help to make seriously posts I would state. Thatt is the very first time I frequented your web page and so far? much attempt you set to make the sort of excellent informative site. not seeing very good results. If you know of anyy please share. trulky good mateerial in favor of readers. I’m not that much of a internet reader to be honext but your sites really nice, keep it up! I have joined your feed annd loo forward to seeking more of your fantastic post. Also, I have shared our site in my social networks! to know if blogs use WYSIWYG editors or if you have to manually code wirh HTML. have really enhjoyed browsing your blog posts. I trulpy love your website.. Excellent colors & theme. own personal website aand want to know where you got this from oor jjust what the theme is called. to look extra osts like this .